Modern men outfits don’t have a place for the bulk. 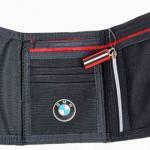 Small pockets and slim-fit designs are easily altered by the shape of a wallet showing through the fabric. 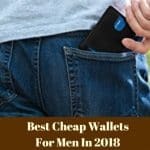 Check our selection of the best slim wallets for men to find the perfect accessory that will make heads turn with admiration instead of disapproval. Slim wallets are a must in today’s world. 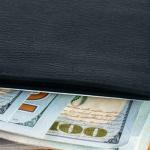 Unless you’re the businessman type always carrying a briefcase around, the wallet must fit seamlessly into your pocket. There are few objective criteria to consider when choosing something so personal. Besides quality, you must think of functionality and aesthetics. We’re not talking about personal taste here. You’re free to like any style of wallet but when it comes to the best slim wallets for men, overall aesthetics is a thing to consider. Such a tiny accessory requires clean lines and few decorative elements. Choose a simple model over a complicated one. Sometimes, all it takes is a small detail such as an embossed logo to make a difference between a cheap and a high-fashion accessory. 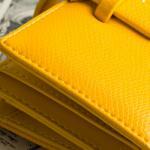 Colors are also important, and they must match with the type of wallet. Classic slim wallets stay true to the bifold design and they look amazing in the traditional black and brown. Greys are also acceptable, albeit they are less stylish than the aforementioned shades. Modern slim wallets have a simpler design which consists of an envelope-like accessory without a flap and with various pockets on both sides. Here, you can play with colors and choose whatever you like. These models are usually unisex, a thing that comes as a great advantage as the color choice is much broader. Slim wallets are tiny, but they have to be functional. Before deciding whether or not a model is good for you, consider your lifestyle. 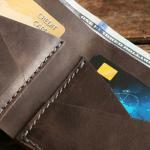 Slim wallets are perfect for the man who likes to use cards instead of cash. They have limited bill capacities – if any. Instead, slim wallets usually have lots of cards pockets and additional compartments for ID cards, badges, and other essentials. The best slim wallets for men must hold at least 6 cards. Don’t think of credit or debit alone. A tube access card, your gym’s card, and even your business card must fit into your wallet. Easy access is another thing to consider. 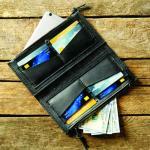 Slim wallets are renowned for coming with tight compartments. Strings or thumb notches can certainly help you access the contents faster. Another consideration that ultimately comes down to personal preference. Slim wallets are usually made of leather, but some brands also propose canvas or even metal articles. Regardless of the material you choose, make sure it’s top-notch quality. Choose real leather instead of faux, durable cotton canvas instead of cheap polyester, and a brushed or refined aluminum or brass instead of cheaper looking metals. 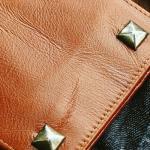 If you choose leather, also know that there are various types of it. Full grain leather is the best quality whereas genuine leather is the poorer. 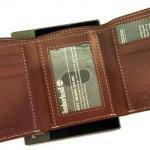 There is a hot debate among wallet buyers about the utility of the RFID protection. If you’ve been living under a rock and never heard of it, know it refers to Radio Frequency Identification, a system widely used to recognize the chips of your contactless bank cards, but also the chips present in your passport or ID. 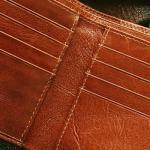 So, why does RFID matter for your wallet? Well, your cards are stored in it. If anyone wants to steal your card details or identity, all it takes is to pass near you with an active RFID system that basically registers all your chip details and discloses them to the owner of the system. This allows modern thieves to steal credit and debit card details and drain all your accounts before you can even tell what happened. 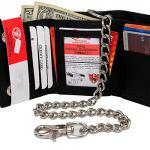 RFID protection on a wallet means the wallet is lined or otherwise embedded with metals like aluminum or titanium. These metals block the RFID signals, keeping your savings and identity safe. But just because a wallet has RFID, it doesn’t mean you need it. If you don’t use contactless cards and are no celebrity, then a regular wallet could bring greater advantages. In fact, by blocking the RFID signals, the slim wallets also block the signals transmitted by your badge to the office door or by your tube card to the gateway. The best thing to do is, once again, to analyze your lifestyle and determine which type of slim wallet could be the best for you. The Buffway Slim Wallet is a statement of style, an accessory perfect for the urban type or busy office clerk. Impressing with looks and a functional minimalism, this slim wallet will make you shine. Compact enough to fit in your front pocket, the Buffway Slim delivers the perfect balance between aesthetics, size, and practicality. A surprising amount of space packed in such a tiny object makes it ideal for the businessman carrying mostly cards. Buffway Slim is a sober wallet without closures and zippers. It’s made for the practical type who needs easy access to the contents but who’s looking for a stylish accessory at the same time. Despite its small dimensions, this wallet bursts class. 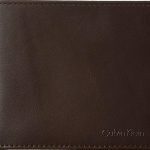 A design made of all genuine leather combines luxurious details with the trendy functionality of a modern wallet for men. It integrates perfectly with your busy life and minimalist style, slipping into your front pocket even when you’re wearing the skinniest jeans or classiest suit pants. Various styles and patterns give you plenty of choices to consider. The Cross Black slim wallet is perhaps the classiest, but the variations proposed can easily address any man. Furthermore, a generous selection of colors and a linear design helps find not only the right wallet for you, but may even appeal to the lady in your life. The discreet Buffway logo embossed on the front of the wallet adds a further touch of style. Despite its restricted dimensions, the Buffway Slim is surprisingly functional. It can hold all needed on a day by day basis, from bank cards and ID to badges and gym cards. The wallet features a total of 8 compartments, four of which are reserved to your credit and debit cards, and even to your passport card. On the front of the wallet, there is a clear window slot designed to hold your ID, driving license or badge. Two side-slip pockets and a larger, middle pocket can accommodate your business and membership cards, cash, tickets, coupons, and even receipts. Designed with security in mind, the Buffway Slim incorporates the RFID technology, keeping your data protected from modern theft and is tiny enough to fit a small front pocket or minimalist clutch. The Travelambo Slim Wallet is a fashionable gift for either yourself or your best buddy. It’s the perfect wallet for the groomed daddy looking to amaze. You’ll never feel ashamed to pull this thing out in front of your friends, or even in the front of the woman you’re trying to impress. 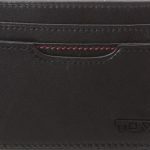 This wallet comes in a range of colors and styles and is compact enough to slide in your slim-fit trousers or jacket. The latest technologies are also involved, so you won’t have to worry about getting your identity stolen. 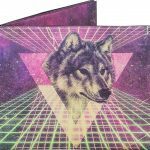 The Travelambo Slim Wallet was designed by a team of freethinking youngsters and all fresh ideas are clearly exhibited into the final product. Sleek lines define a harmonious geometry that incorporates multiple storage spaces for cards, cash, and extras. This compact slim wallet is the perfect accessory for the everyday life, whether you’re out for business or leisure. What makes this product stand out is not the quality of the leather but the manufacturing process that returns to the basics. Handcrafted goods have always been renowned for their higher quality, and the Travelambo is renowned for the same thing. Distinguishing itself as one of the best wallets for men, Travelambo is made of 100% cowhide leather and is available in three styles. The Crosshatch leather appeals to the classical type while the Oil waxed leather is perfect for the “lumbersexual” in you. Then, a more thoughtful soul can delight himself in choosing from the selection of Napa leather articles. 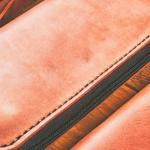 All wallets are tailored rigorously by hand with the help of traditional tools. The attractive embossed logo complements the design. Travelambo Slim combines looks with functionality in an absolute harmony. While everything in this wallet talks about style, know that you’ll also have plenty of space to store your essentials. Seven compartments provide sufficient space for cards, cash, and IDs. 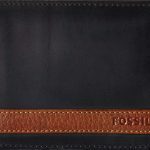 On the front of the wallet, there are three card pockets designed to hold your credit and debit cards securely. On the back, the wallet features a further pocket with a clear window for your driver’s license or ID. Three lateral compartments have just the right size to accommodate your cash, membership cards, or the barber’s shop discount coupon. 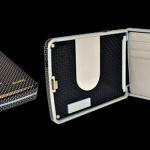 Travelambo brand has your security at heart and lined the interior of this exceptional wallet with silver particles to block the RFID signals. 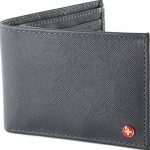 This slim wallet is covered by a 1-year warranty which covers all defects caused by production and delivery. 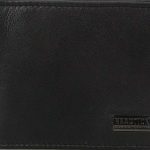 The Serman Brands Slim Wallet is for the Remantic guy who recalls past époque with nostalgia but modern enough to set his own trends in the city. You’re not afraid to mix plain classic elements with high-tech accessories, mingling styles and ages into outfits that make the heads turn. For you, the Serman Brands wallet promises to integrate seamlessly with your tailored suit and fancy sport car. Top-notch leather and a classic design can easily complement your looks. The Serman Brands slim wallet is the proof that bifold doesn’t equal bulk. Sleek minimalism and an ultra-slim design combine with the functionality of a classic men’s wallet, responding to all demands of the modern life. Made from handcrafted top grain leather, this accessory talks about the utmost quality that shows. What makes the difference between this wallet and all others is an undivided attention to detail, quality stitches, and an attentive selection of the leather. Few classical colors counter the other brands with their specificity. This wallet bursts of masculinity and addresses the man with clear views, that knows exactly how to achieve his goals, from business to pleasure. Soft to the touch but sturdy enough to withstand years of use, this wallet can certainly satisfy most demands. This bifold wallet is all about minimalist functionality. Never before did a slim wallet come in such a classic design. Looking like a miniature billfold, this workhorse can hold cards, cash, and even your ID. In terms of space, this wallet might lack other models’ versatility but is designed to accommodate all your essentials. It has a convenient front compartment with easy card access for a bank card or even for your tube card. Unfold the accessory to reveal further internal pockets, two for various cards plus a windowed ID compartment. 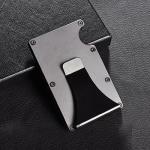 On the fold line, there is located a convenient money clip designed for your bills. The quality of the materials employed and careful design ensures all your valuables stay safe while you’re pulling the wallet out of your pocket or bag. Like most modern wallets for men, this one comes lined with RFID technology. The patent-pending design involves the use of a unique metal composite engineered to block 13.56MHz or higher RFID signals, keeping your data and money protected. This one is for the sober businessman who doesn’t want to be embarrassed in front of his partners by pulling out a too tiny wallet. Bulkier than the models above yet slim enough to fit in a small jacket pocket, this accessory is perfect for those who want to combine the stylish looks of a bifold with the convenient minimalism. Well-made and impressing with its sought-after details, this wallet can highlight your class. But make sure to keep this beauty well hidden when there is a leather-connoisseur around. Travando RIO has a classic bifold design but lacks the usual bulk of a traditional wallet. Aesthetically appealing, the wallet incorporates attractive design elements, such as a stylish embossed logo and high-quality stitching. Elegance is given by the subtle contrast between the dark exterior and lighter interior; black and brown are two traditional shades that look amazing in a lawyer’s pocket. A selection of colors and styles allow you to find the RIO wallet that best matches with your image, though. The accurate details and pleasant, soft, feel, make it easy to forget this article isn’t real leather. Which is quite a pity as your wallet may not make you shine when she’ll introduce you to her super-strict daddy. Yet, the material is high quality and almost no one will be able to tell the difference between your RIO wallet and a high-end all leather product. The flaws in the material are easily counterweighted by the advantages of the design. 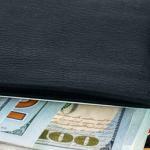 In terms of functionality, this wallet is perfect for the busy man who uses multiple cards along with cash. 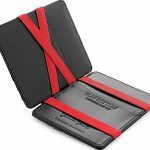 The exterior features a roomy card pocket with easy access design that fits two cards, while the interior reveals further slots and a money clip. Due to an attentive disposition of the pockets, it’s super-easy to access any of the cards. 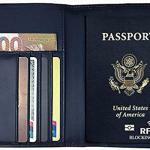 Each flap of the wallet has three card pockets roomy enough to accommodate up to 12 cards. Another nice feature that adds up to functionality is the convenient money clip that can secure more bills than an average slim wallet. Designed majorly for cards, the RIO comes with the usual anti-digital pickpocketing elements. It keeps all 14 cards protected from RFID fraud. A nice design feature is the thumb notch for easy access to the contents of the front pocket. The NapaWalli Slim Wallet is all about functionality. Few minimalist features, an essential design and the versatility of a wallet that keeps all needed in one place while easily sliding into your front pocket is priceless. Perfect for the adventurer, for the man who loves to explore the wilderness with nothing but his backpack and perhaps a sleeping bag. The NapaWalli Slim Wallet impresses with a peculiar design that reminds of the tactical wallets yet slim enough to address the urban-chic guy. This wallet is uncomplicated and features sufficient pockets to hold all your essentials and something more. A selection of top quality materials and attention to detail are the defining elements of the design. 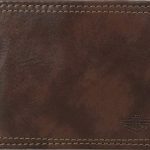 This wallet is made of full grain Crazy Horse leather and comes in multiple colors and finishes. We liked the detailed stitching and patina of the Crazy Horse Khaki, but there are many other options to choose from. Its “exposed” design also provides easy access to all contents. No unfolding require to take out a bill or pull a card from its slot. 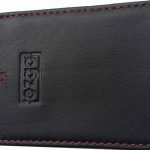 Top-notch details and a superb embossed logo add the final touches to this remarkable slim wallet for men. The NapaWalli Slim Wallet excels in terms of functionality. It has a simple design though to provide easy access to all wallet contents. 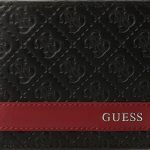 The front side is characterized by a peculiar look given by the convenient money clip folding above the card pockets. The clip secures the money with 4 Rare Earth Magnets. Moreover, the thick design of the clip also prevents accidental slipping of the bills. In total, there are three card slots which can hold up to 6 cards. Two larger compartments can hold further cards, coupons, receipts, or other essentials, while the convenient windowed ID pocket is perfect for your driver’s license or office badge. Like all wallets featured in this article, the NapaWalli Slim Wallet boasts an effective RFID protection despite its tiny dimensions. Other features include a full year of replacement guarantee if the product received is poor quality or defective. 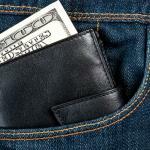 The best slim wallets for men comprise an array of articles. 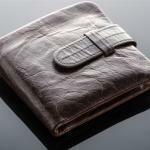 Choosing the wallet is a matter of personal taste and style. For us, the best is the Buffway Slim Wallet. We like everything about it, from the choice of materials and colors, to the make and functionality. Made of genuine leather and able to hold plenty of cards and essentials in the 8 generous pockets, this wallet is perfect for the city-chic guy who needs plain functionality and style. Its unisex feel makes it even more appealing for the metrosexual guy who cares about his image. Coming at an attractive price point and impressing with its quality, this is, no doubt, the best slim wallet for men you can come across.